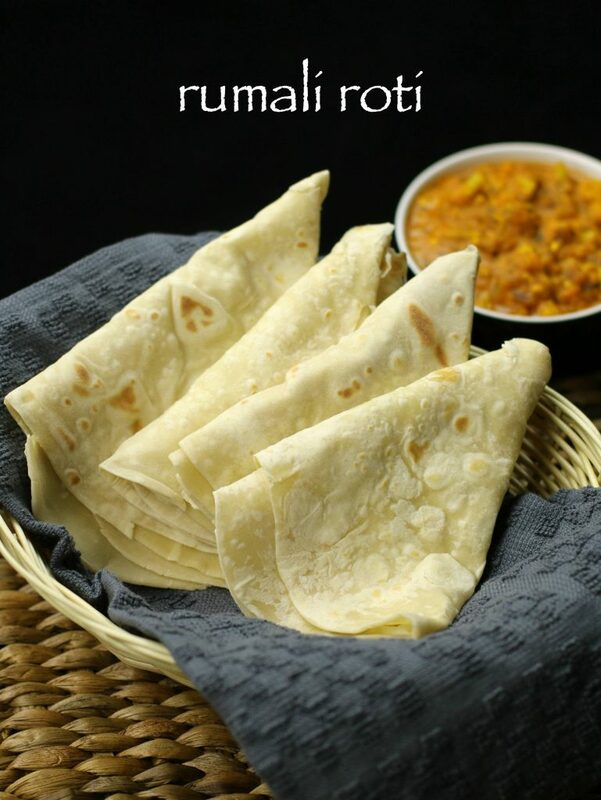 rumali roti recipe | roomali roti recipe | easy roti recipe with detailed photo and video recipe. 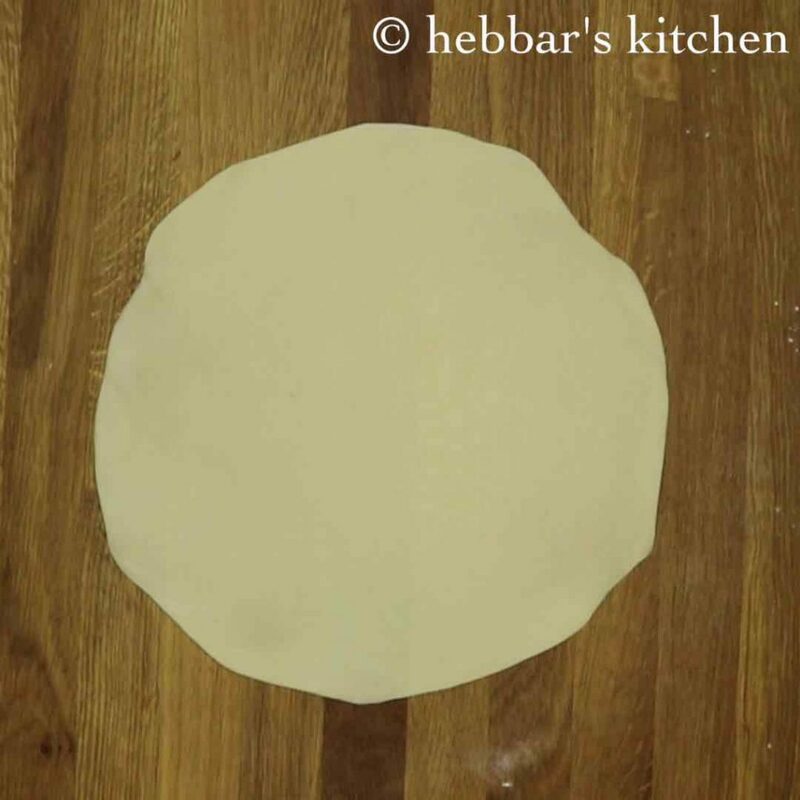 roomali roti recipe is thin indian flatbread prepared with maida or all purpose flour. rumali roti recipe | roomali roti recipe | easy roti recipe with step by step photo and video recipe. 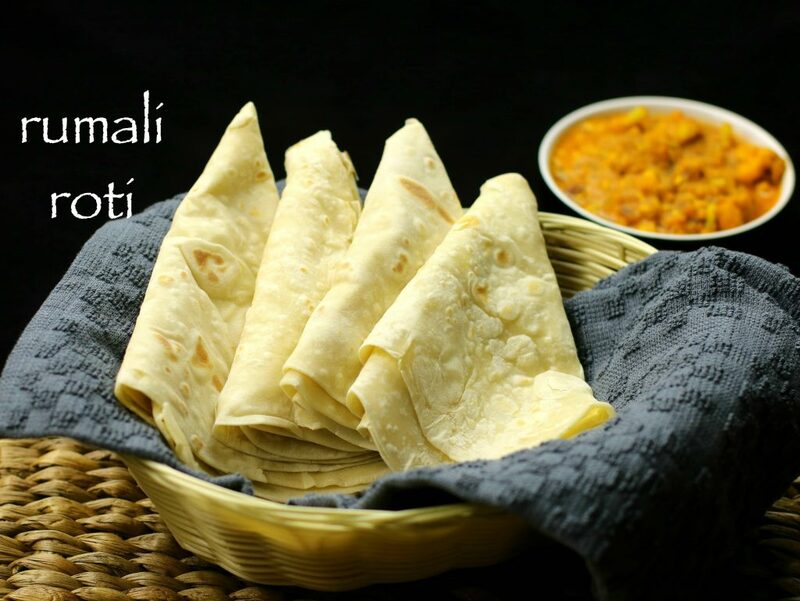 basically, roomali roti is a popular indian roti recipe coming direct from the vibrant and colorful punjabi cuisine. probably, the name of this roti has been derived from its texture and appearance. in other words, roomal literally means handkerchief in punjbai or even in hindi and urdu languages. to be honest, i am not a big fan of roomali rotis, however, it is favorite roti recipe of my husband, hence i have to prepare it more frequently. i always admired and i still fascinated with the way chef prepares it in most of the north indian hotels. probably, i do not like the thin texture of this roti which makes it more chewy and rubbery. in addition, these rotis are prepared from maida and hence i have a stronger reason to dislike it. however, when served with tandoori curries, roomali rotis tastes heavenly. especially, when served with palak paneer, kadhai paneer or even with dum aloo recipe, it tastes amazing. contradictory, the preparation of these rotis can be overwhelming, especially the kneading part. i almost knead the dough for minimum of 15 -20 minutes to make it a smooth dough. as a result, the roomali rotis would turn soft and thin in texture. 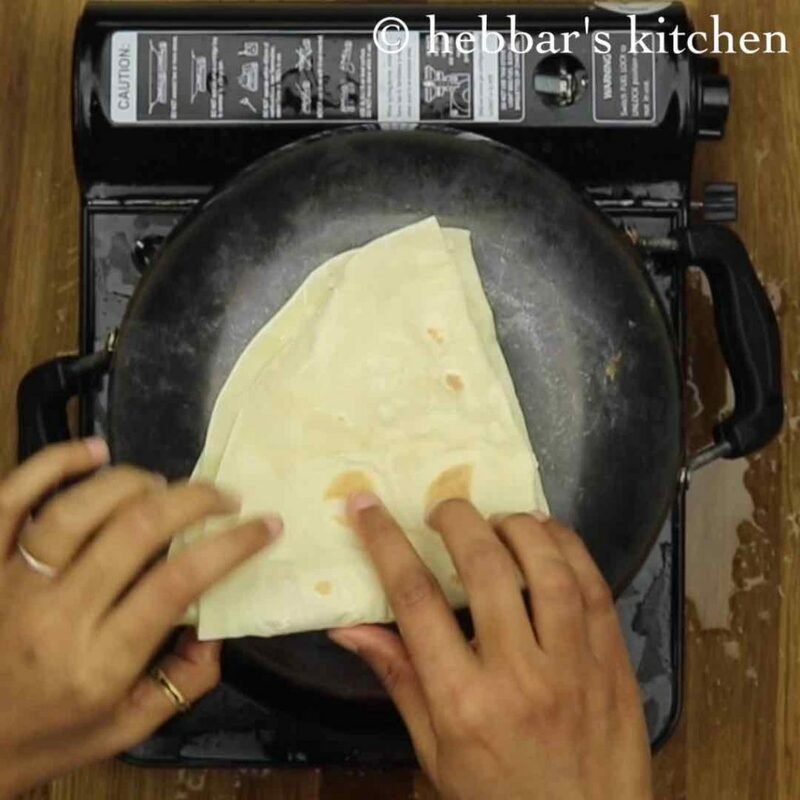 furthermore, the important tip for roomali rotis is to serve immediately after preparing it. finally, do visit my other roti and paratha’s recipe on my website. specifically, aloo cheese paratha, garlic naan, raagi rotti, jowar bhakri, rice rotti recipe. 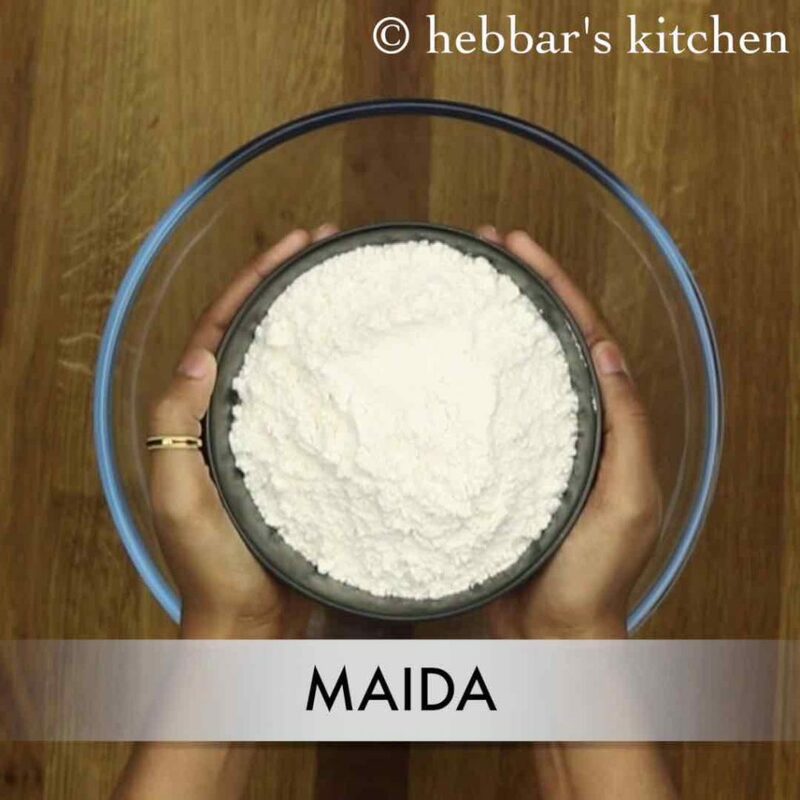 first of all, in a large mixing bowl, take 2 cups of maida. add pinch salt and a teaspoon of oil. 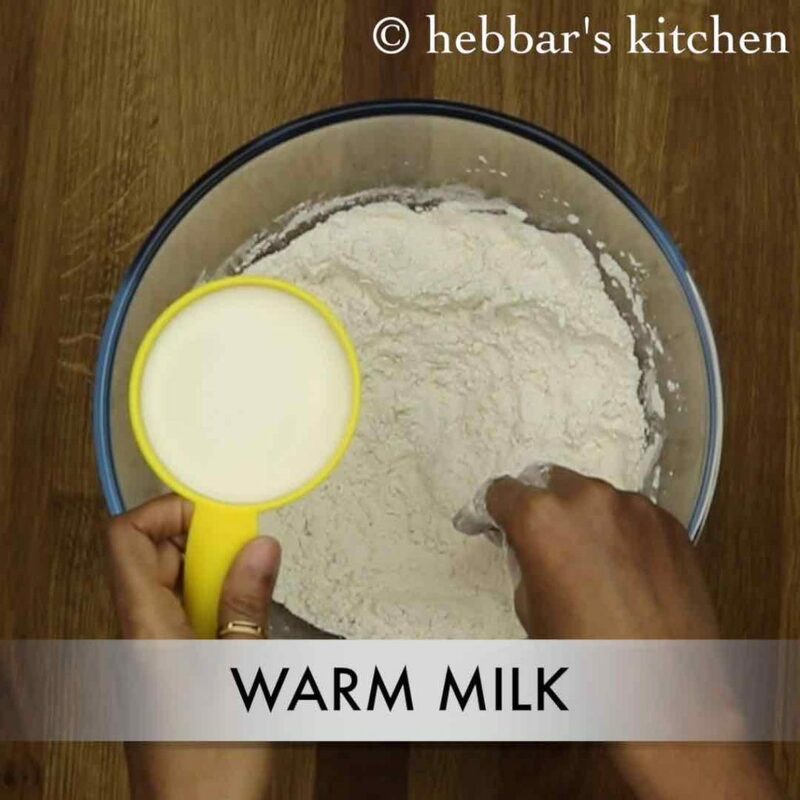 add warm milk little by little and start to knead. knead for atleast 15 minutes. 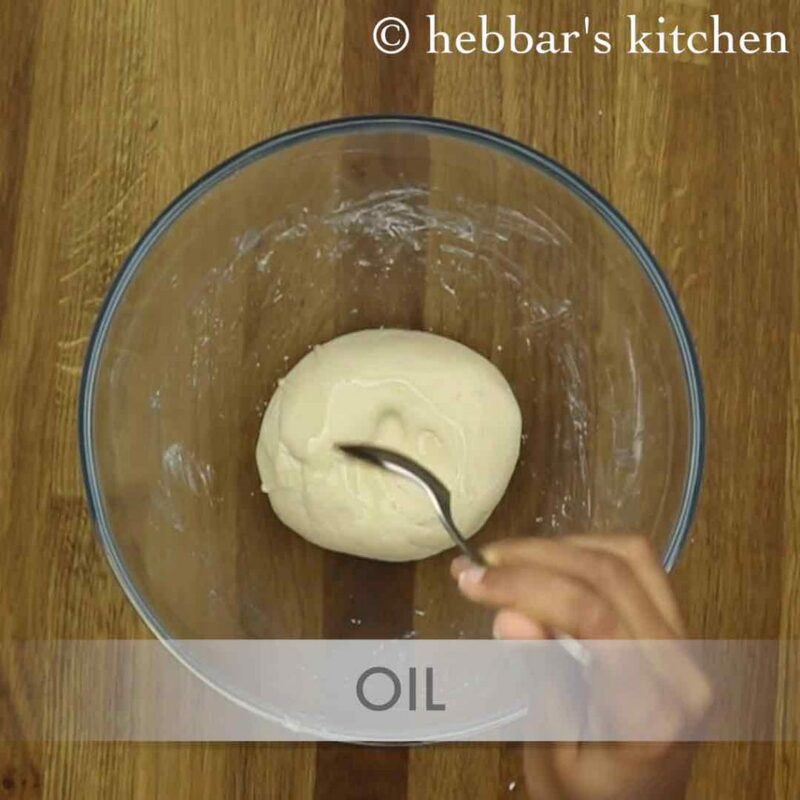 finally, grease the dough with a tsp of oil to prevent from drying. 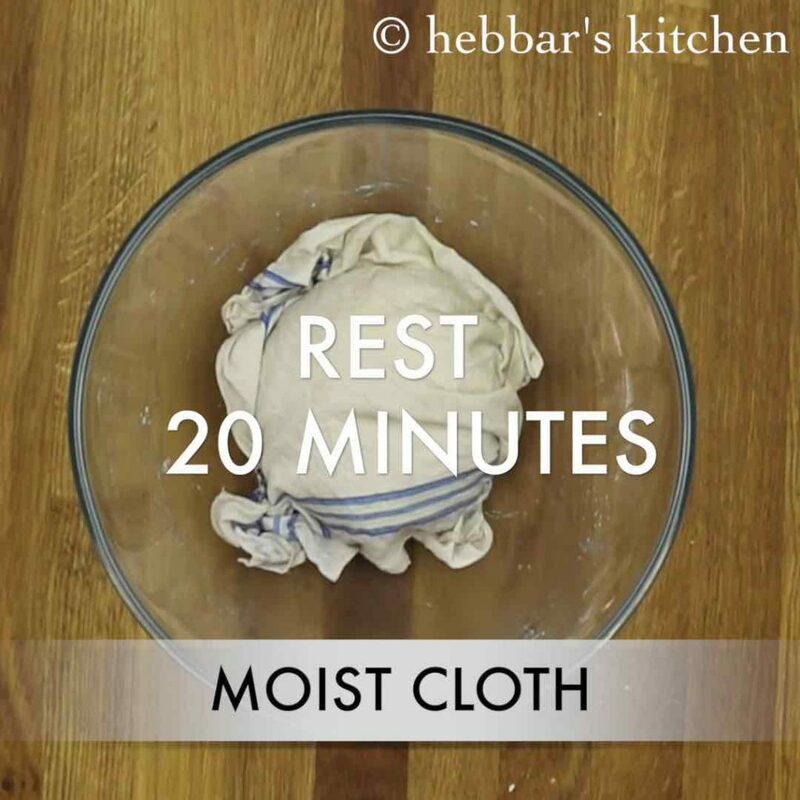 in conclusion, cover with moist cloth and rest for atleast 20 minutes. 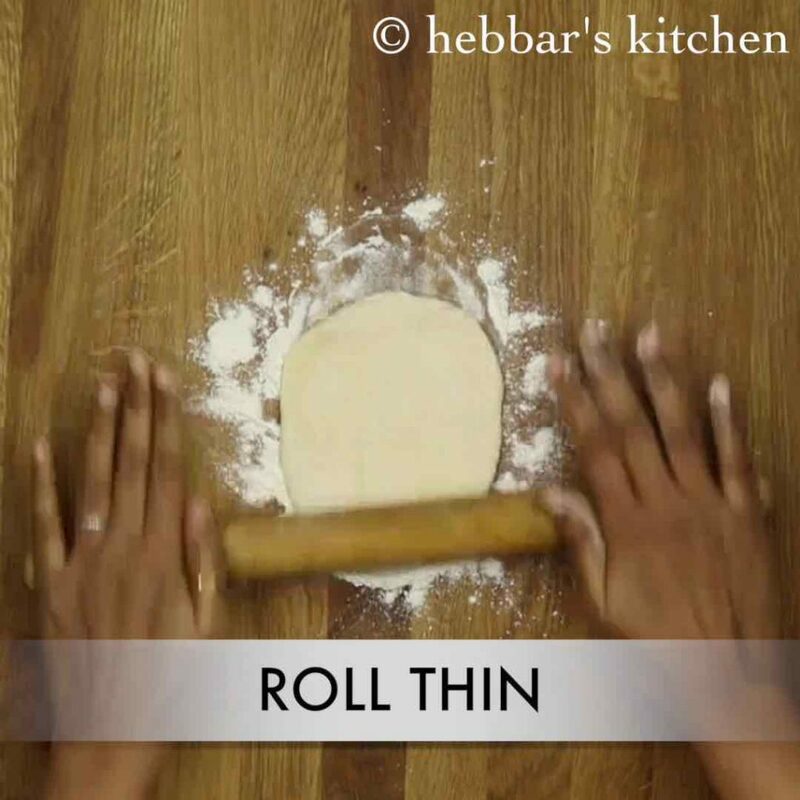 pinch a small sized ball dough, roll and flatten it. 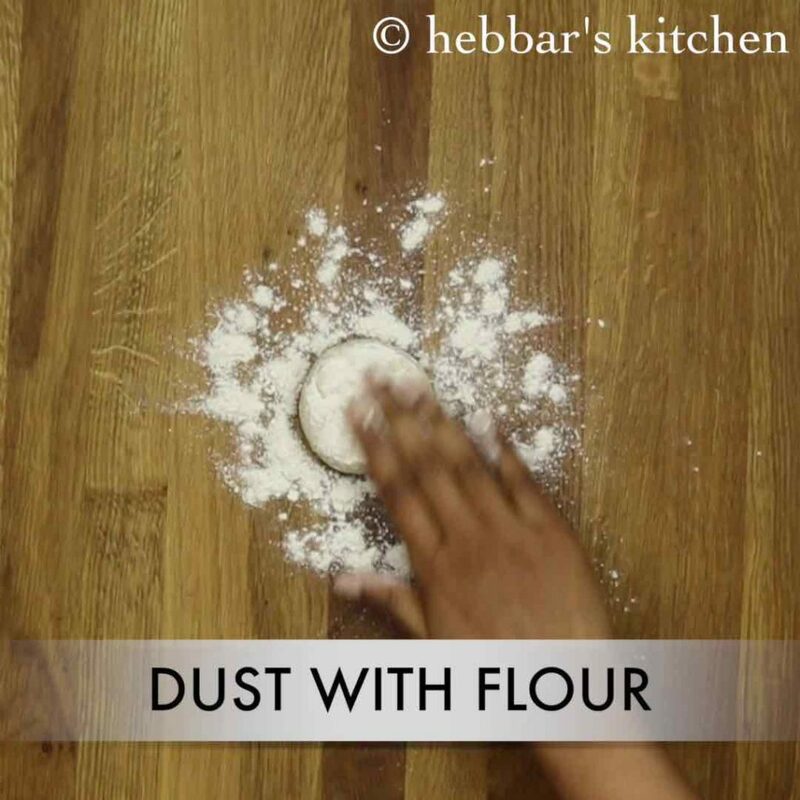 also dust with some plain flour. furthermore, roll it into a thin circle. stretch little so that it become thin. take kadai or chapathi tawa and heat for 2 minutes. then reverse the kadai and heat further more a minute. sprinkle some salt water over kadai. now slowly unroll the rumali roti over hot kadai. 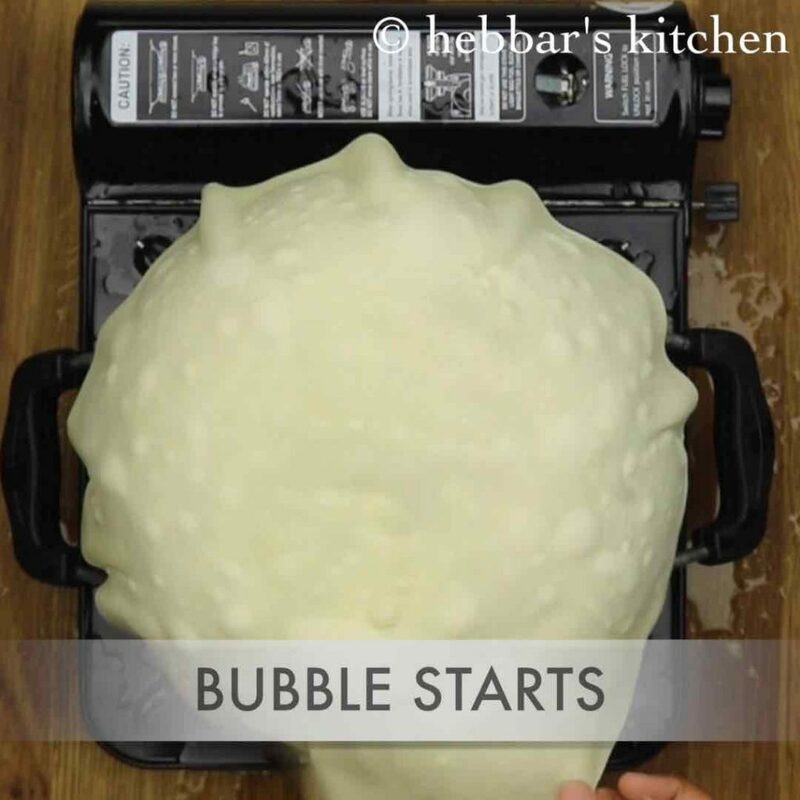 after 30 seconds you can see bubbles forming over roti. so flip off and cook the other side. meanwhile, with a help of towel gently press. once the golden brown spots start appearing, the roomali roti is done. serve roti immediately with curry of your choice. to that pinch of salt and a teaspoon of oil. mix well. furthermore, add warm milk little by little and start to knead. 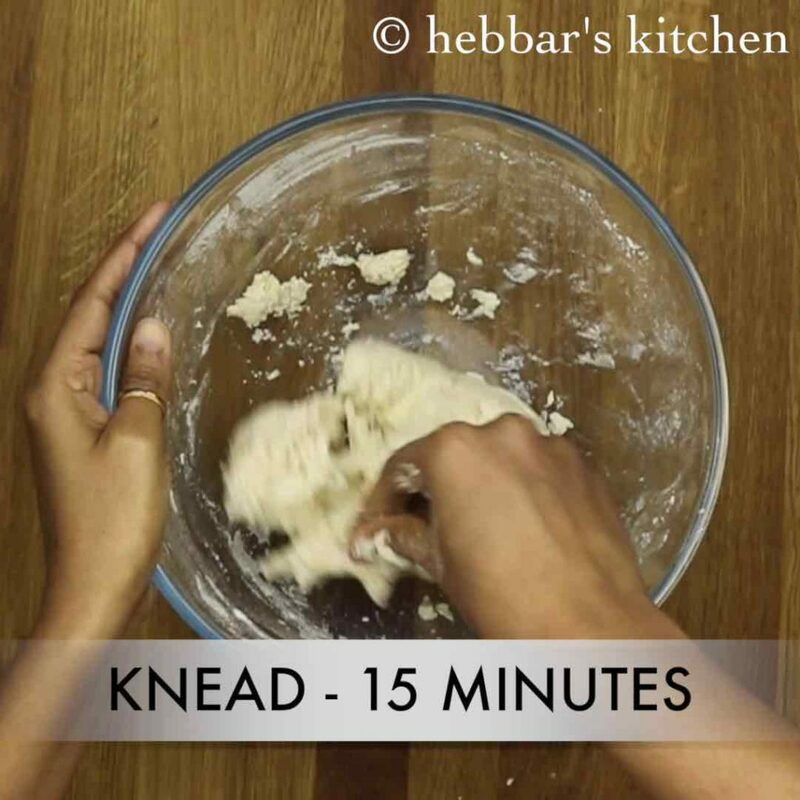 knead for atleast 15 minutes or till the dough turns to be smooth and soft. 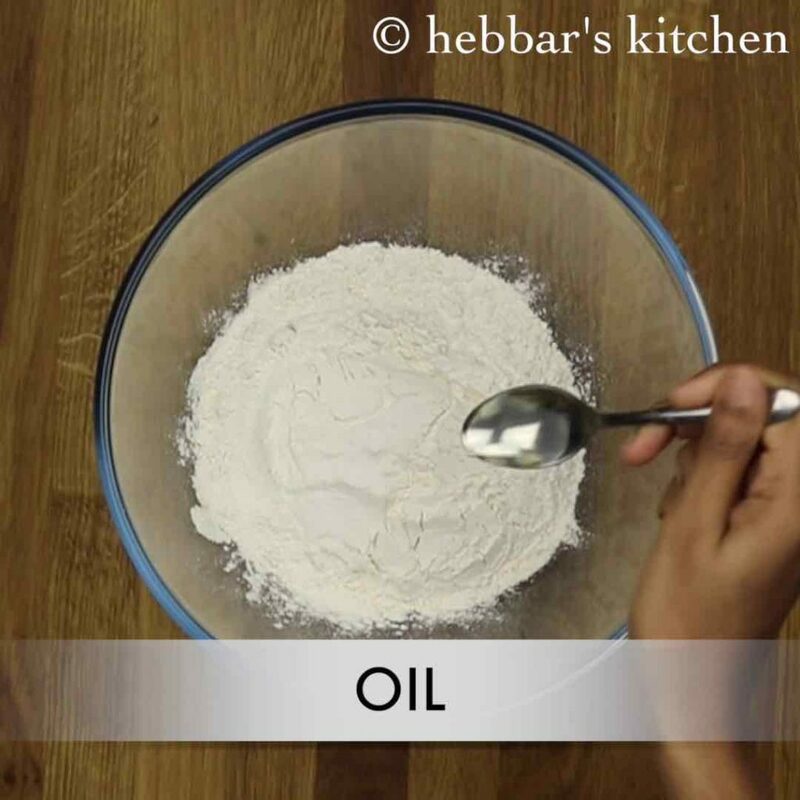 in addition, grease the dough with a tsp of oil to prevent from drying. roll as thin as possible. 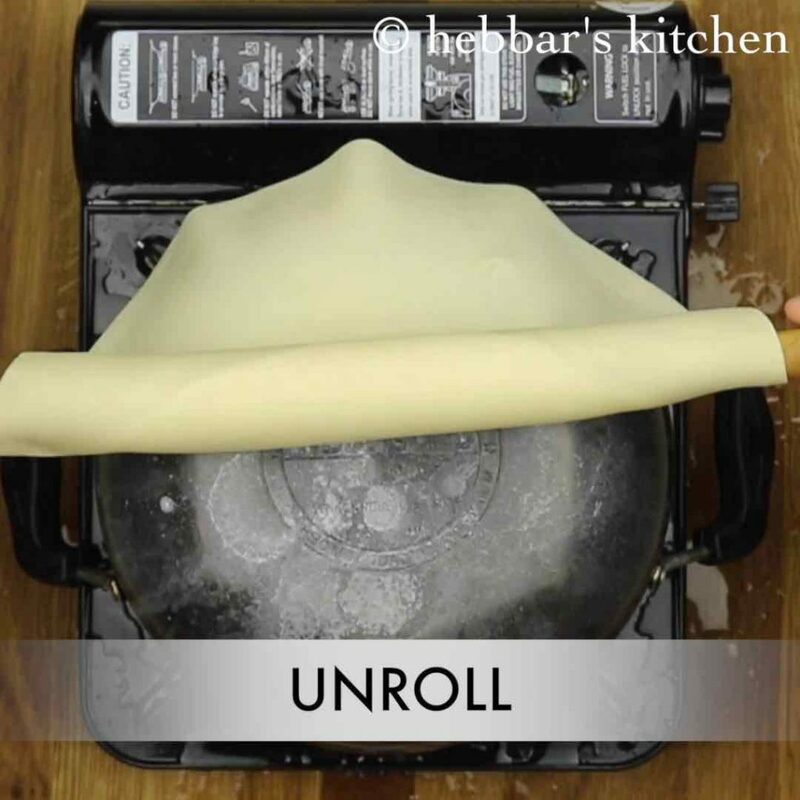 roll from the edges as they are very elastic. 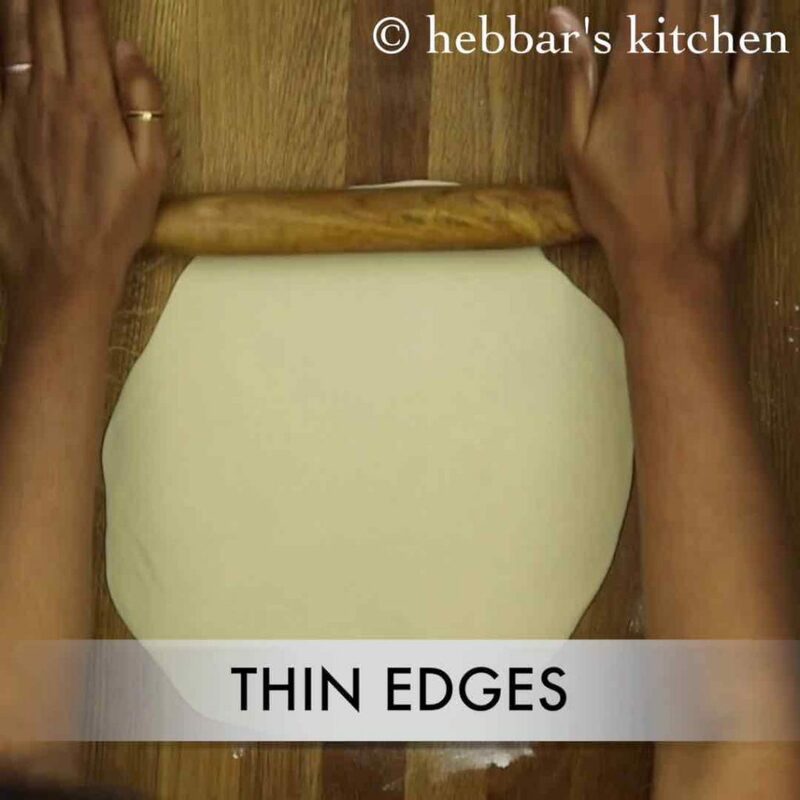 stretch little so that it become thin and also dust off excess flour. 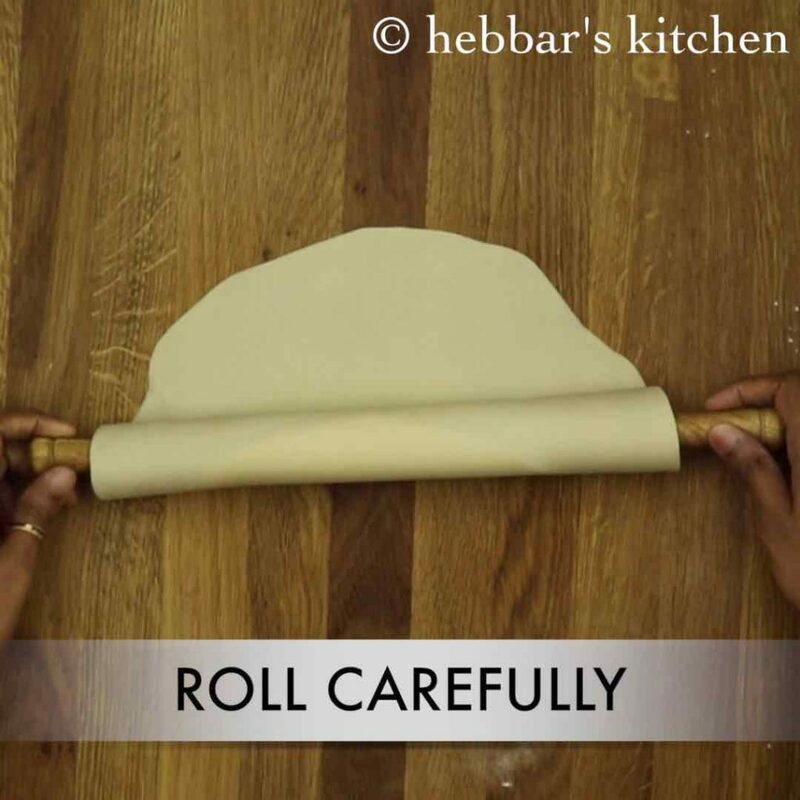 roll the rumali roti carefully over the rolling pin. take kadai or chapathi tawa and heat for 2 minutes. use hard anodized tawa and do not use non-stick tawa. 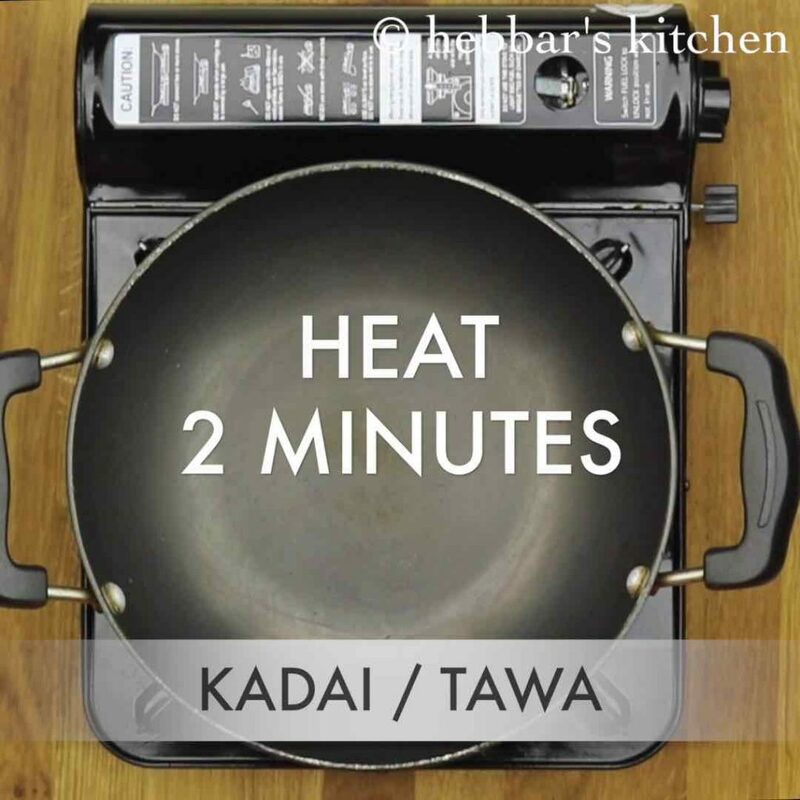 then reverse the kadai and heat further more a minute. this helps to heat completely and uniformly. 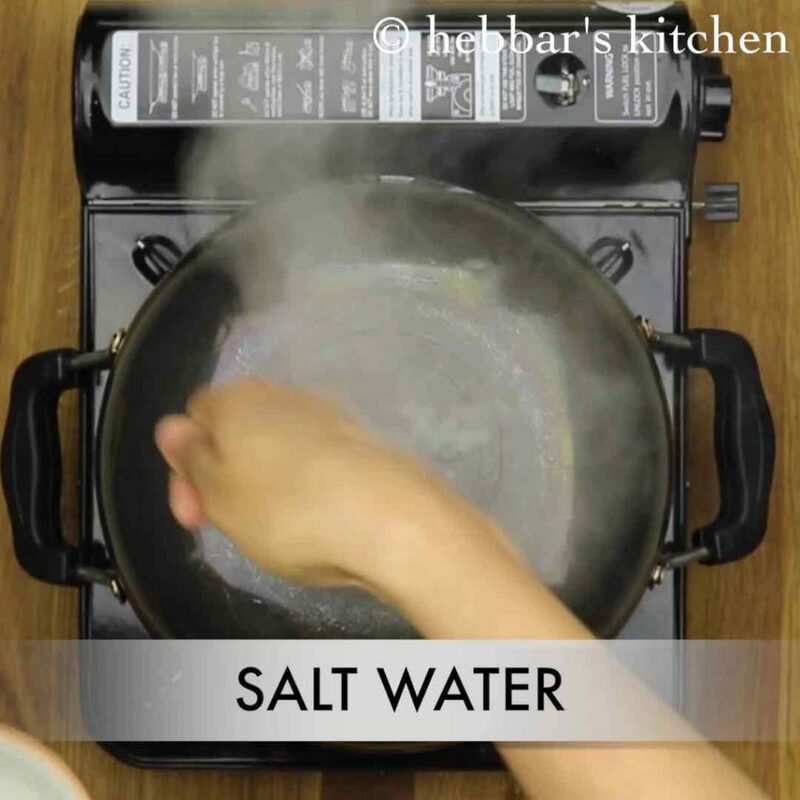 sprinkle some salt water over kadai. 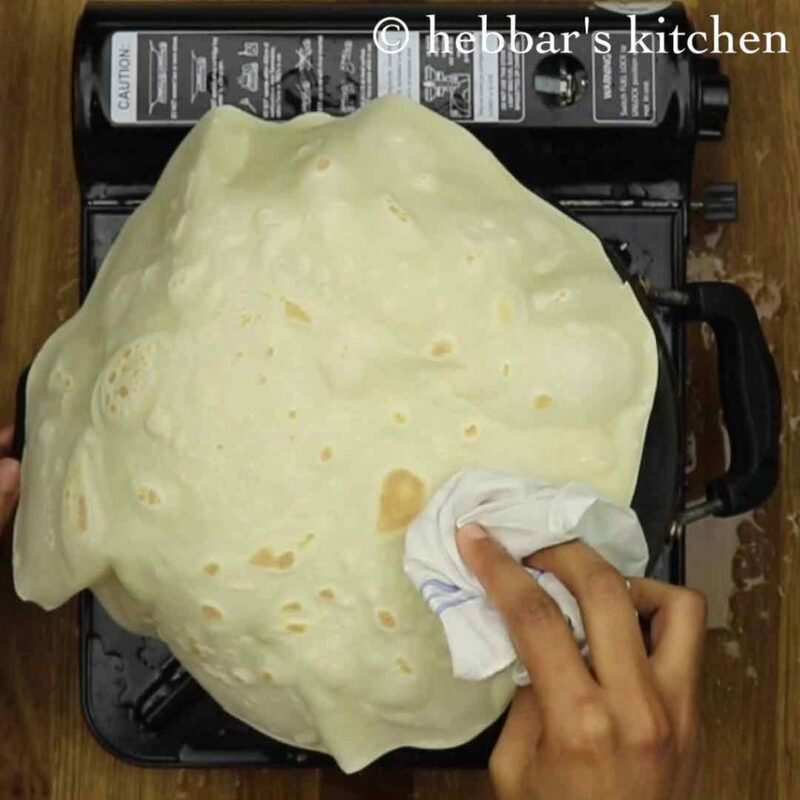 sprinkling salt water prevents roti from sticking and also give nice traditional taste. so flip off and cook the other side. do not over roast as they will turn hard. meanwhile, with a help of towel gently press and cook the edges as well. 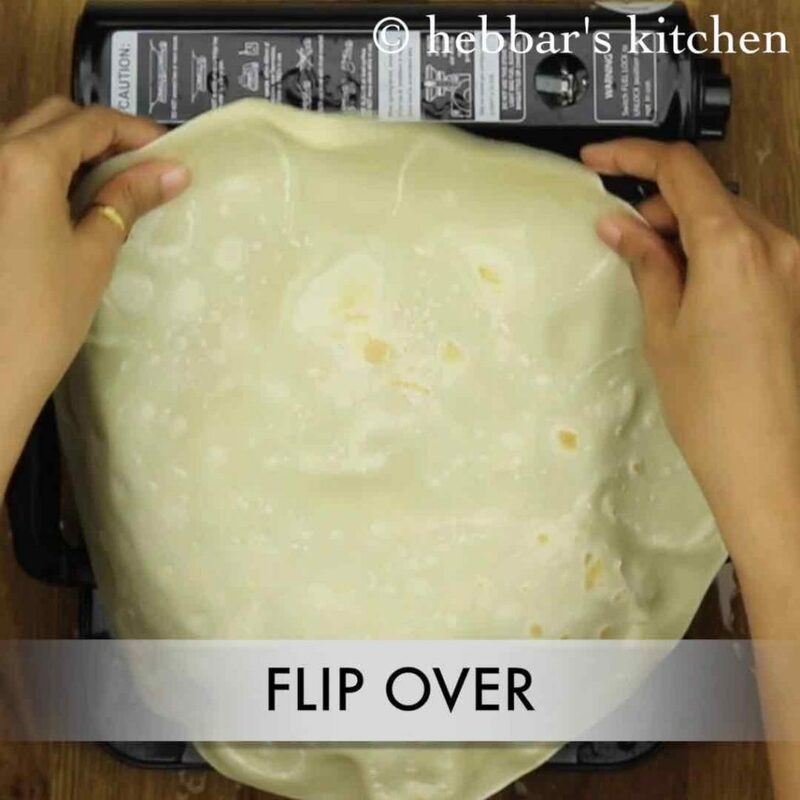 furthermore, fold the roti into cone shape. be careful as the roti will be very hot. serve roti immediately with curry of your choice. else they will turn hard and not taste great. sprinkling salt water prevents roti from sticking and also give nice traditional taste. do not over roast as they will turn hard. 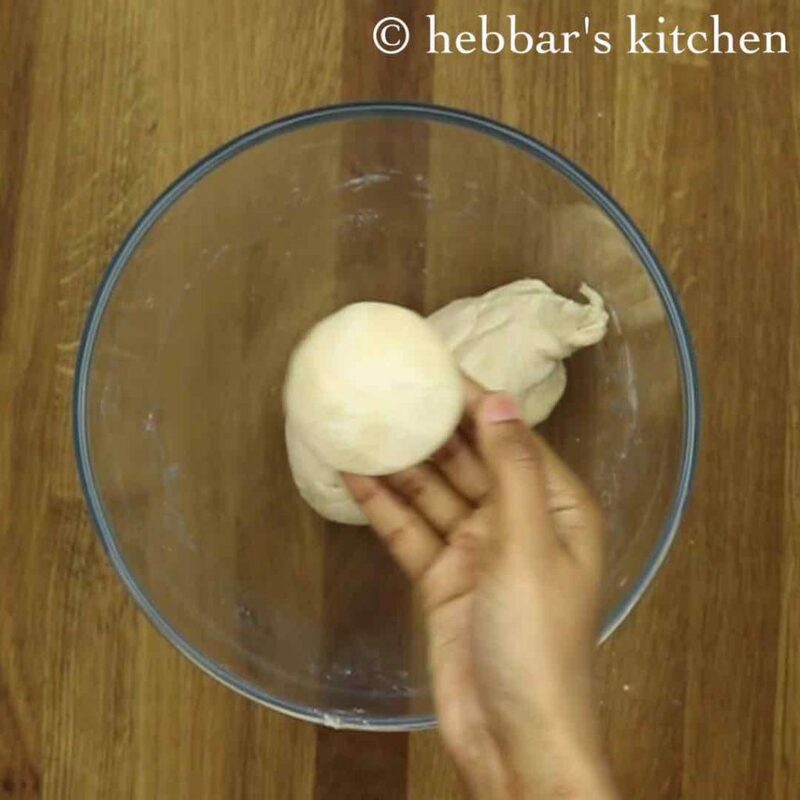 knead the dough for minimum of 15 -20 minutes as a result to get smooth and soft dough. alternatively, you can also prepare over chapathi tawa. i have kneaded with milk, however you can use water. but milk makes roti more soft and flavourful. i sometimes mix wheat flour and plain flour to make slightly healthy. Hi Archana; do we flip the Kadhai back to its original position to keep the heat going? not required.. the tawa heats with the flame on. I am much impressed ur cooking .i ll b watching al ur recepies d tried . It gives Gd result .thanks for ur blog . I have doubt for rumali roti did u used boiled milk? I have become a fan of your cooking. Thank you for sharing your delicious recipes with us. I just love ur recipes,esp the videos. My name is Archana. Thanks a lot between. Very good illustration, easy to follow and understand, thanks. Your cooking blog and videos are very interesting. 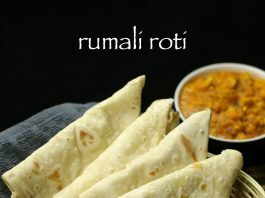 I would like to try out this rumali roti recipe. 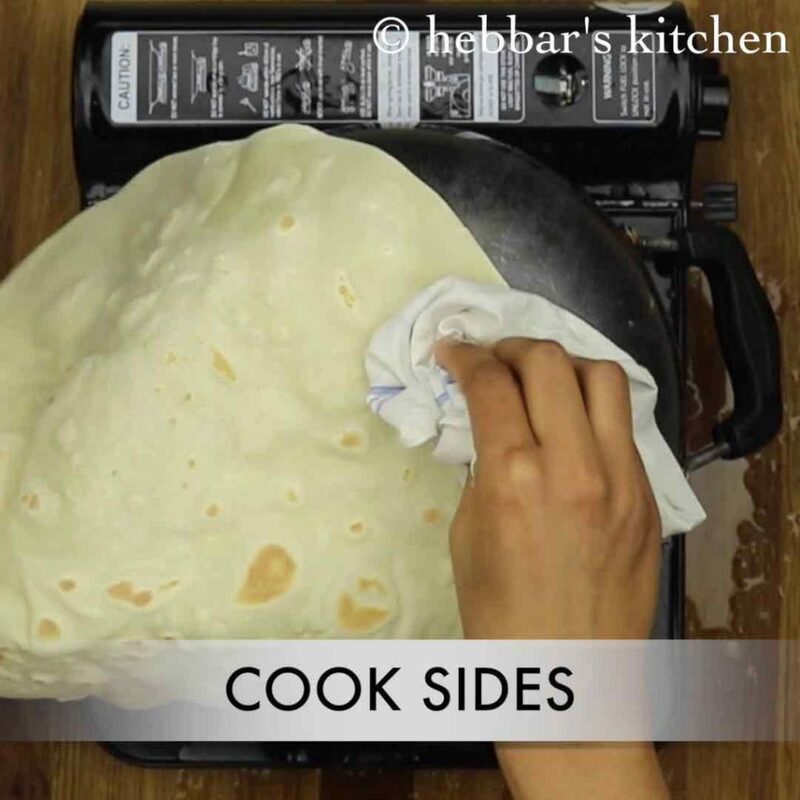 We have an induction cook top, so can you suggest way of cooking the roti in this case. 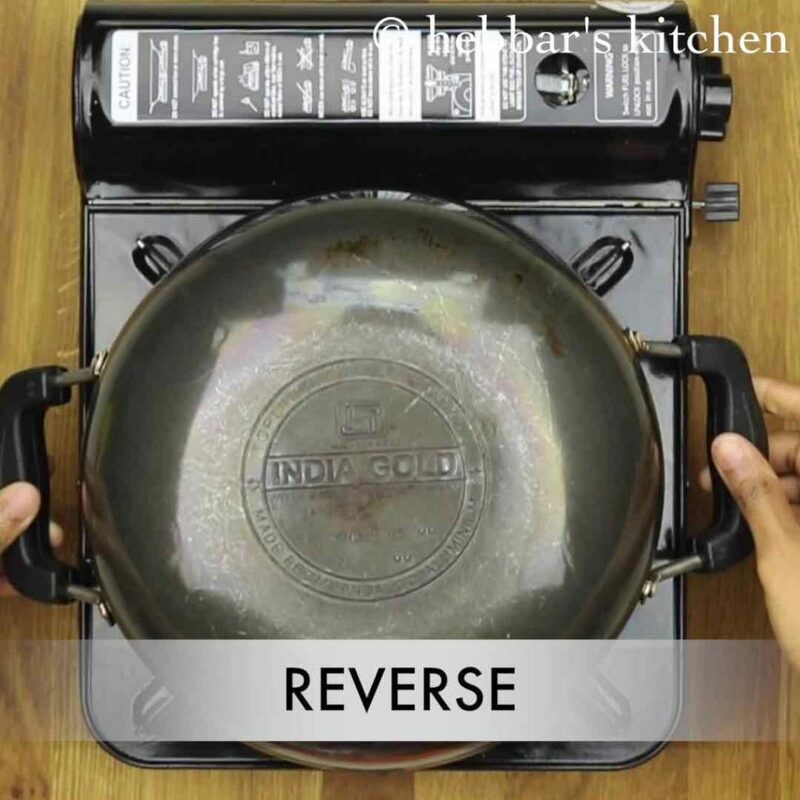 Thanks a lot 🙂 Its so motivating to receive feedbacks.. its difficult to cook in induction cook top as the heat will not be consistent when you turn over the tawa / cooker to flame.. however, you can use oven.